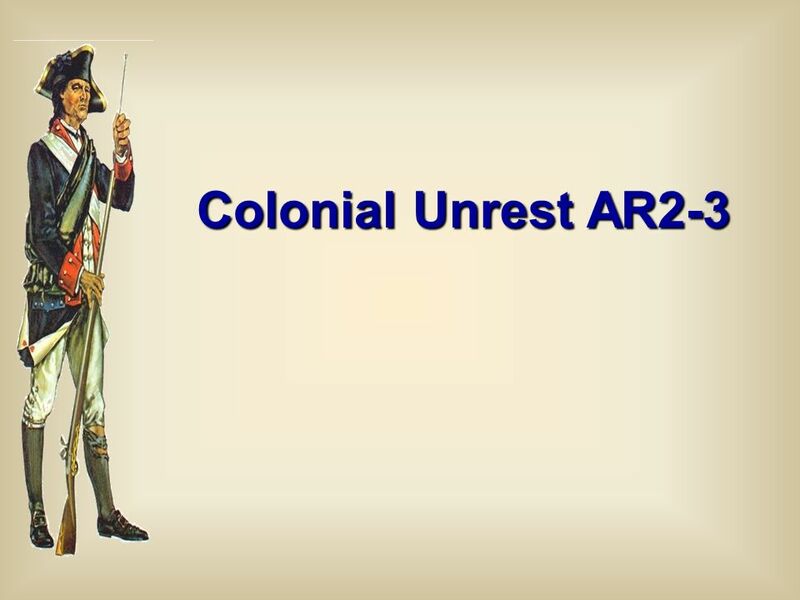 4 What caused the French and Indian War? 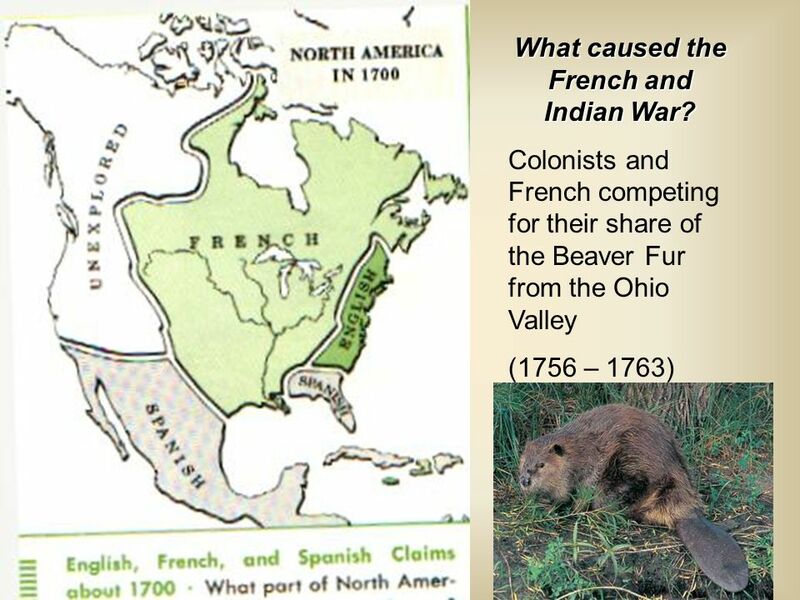 - Cause: Colonists crossing into Ohio River Valley to trap beavers for their fur. 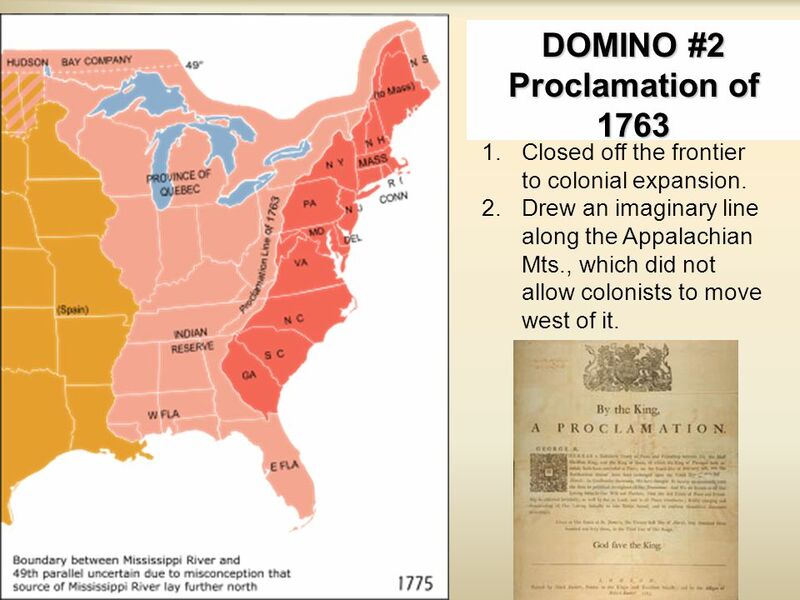 - Effect: British gained land west of the Appalachian mountains, but were in serious debt because of the war. 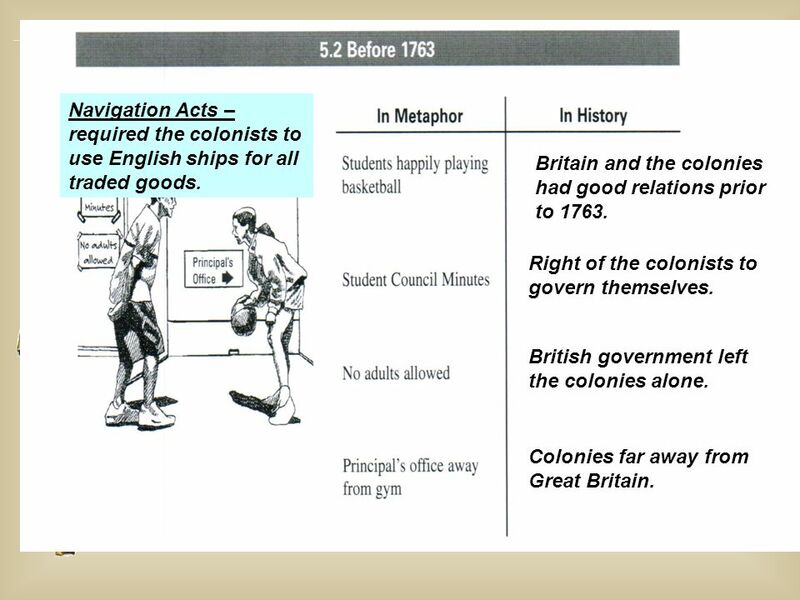 7 Navigation Acts – required the colonists to use English ships for all traded goods. 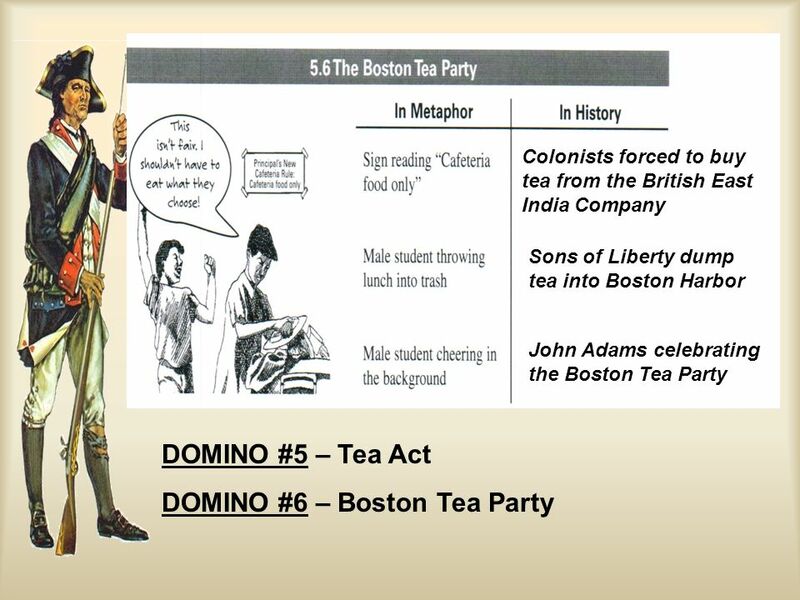 Britain and the colonies had good relations prior to 1763. Right of the colonists to govern themselves. 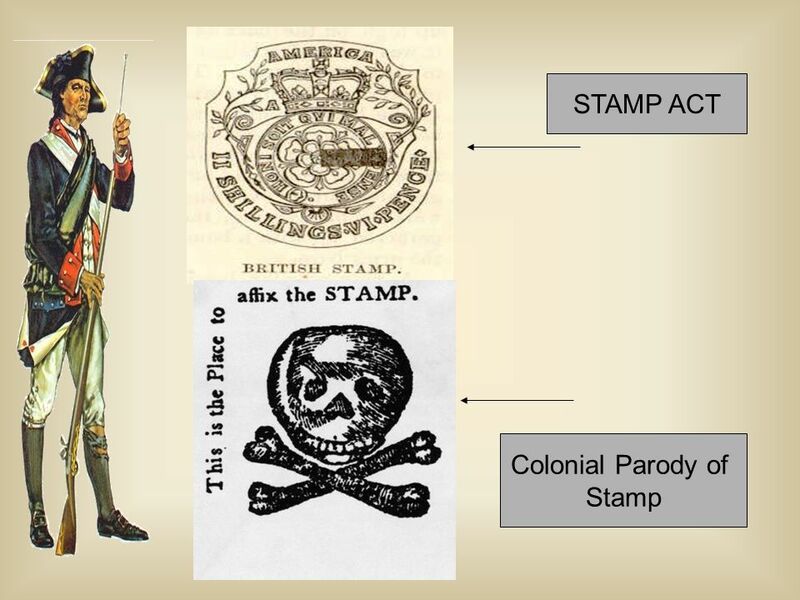 British government left the colonies alone. Colonies far away from Great Britain. Closed off the frontier to colonial expansion. Drew an imaginary line along the Appalachian Mts., which did not allow colonists to move west of it. 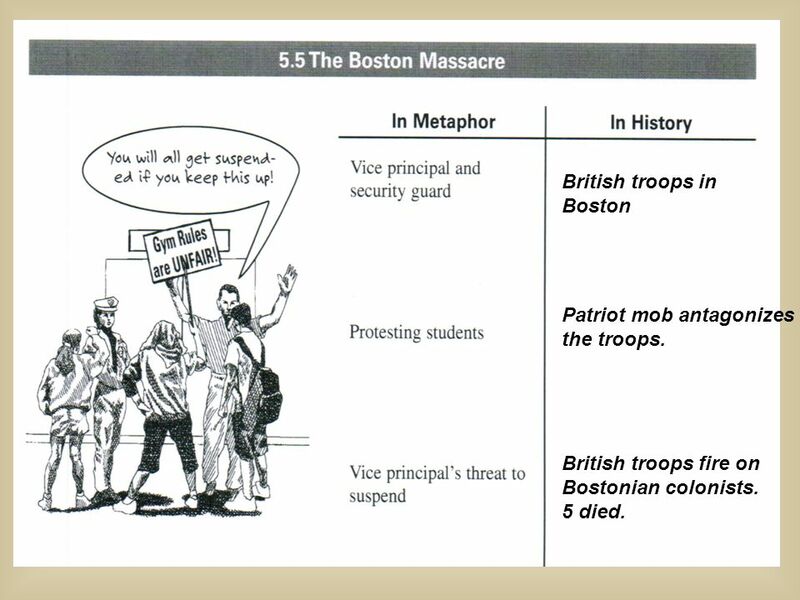 13 British troops in Boston Patriot mob antagonizes the troops. 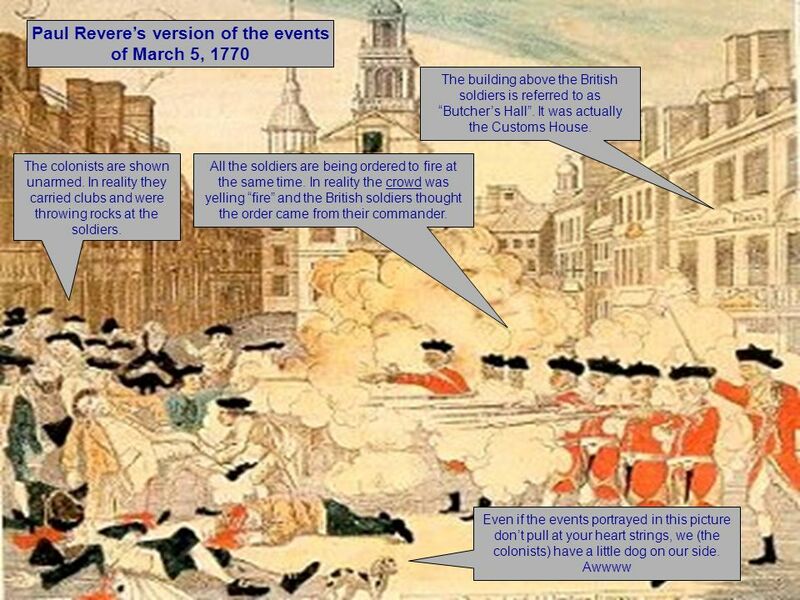 British troops fire on Bostonian colonists. 5 died. 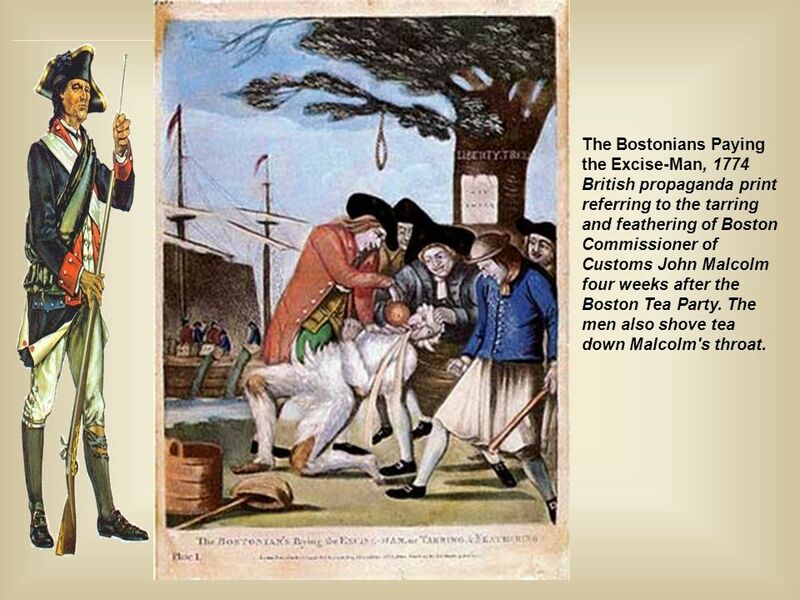 18 The Bostonians Paying the Excise-Man, 1774 British propaganda print referring to the tarring and feathering of Boston Commissioner of Customs John Malcolm four weeks after the Boston Tea Party. The men also shove tea down Malcolm's throat. Independence Hall Philadelphia, PA Before ending their meeting, the First Continental Congress had John Dickinson draft a petition to King George III asserting their loyalty to the crown. 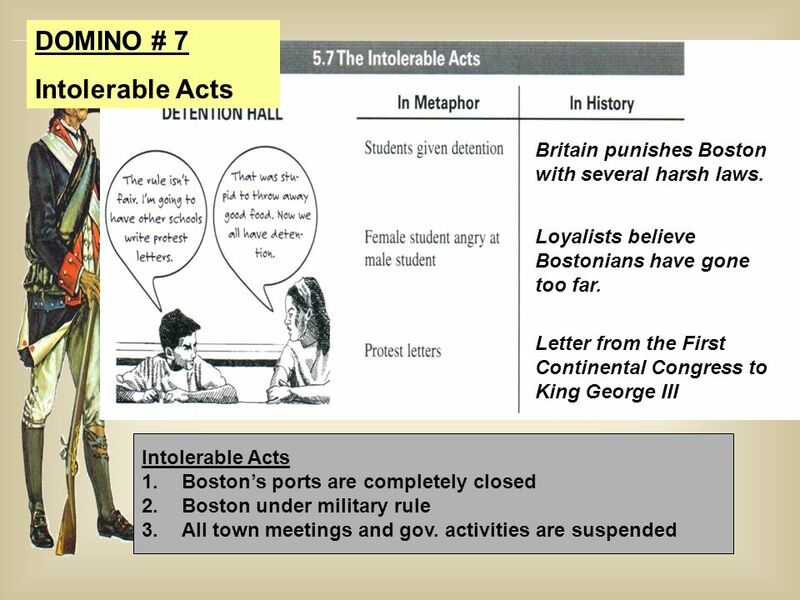 In September of 1774 delegates from every colony except for Georgia met in Philadelphia to discuss the colonial response to the Intolerable Acts. 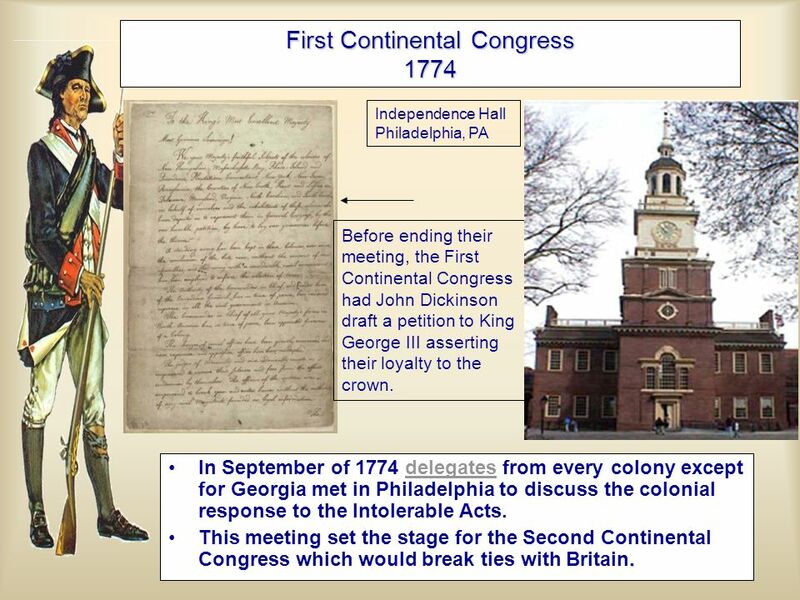 This meeting set the stage for the Second Continental Congress which would break ties with Britain. 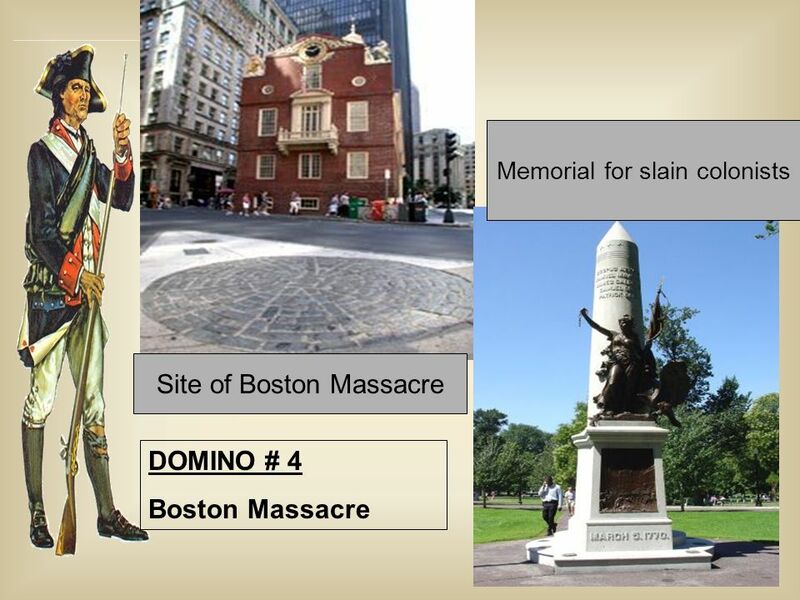 26 The British suffered over 40% casualties. 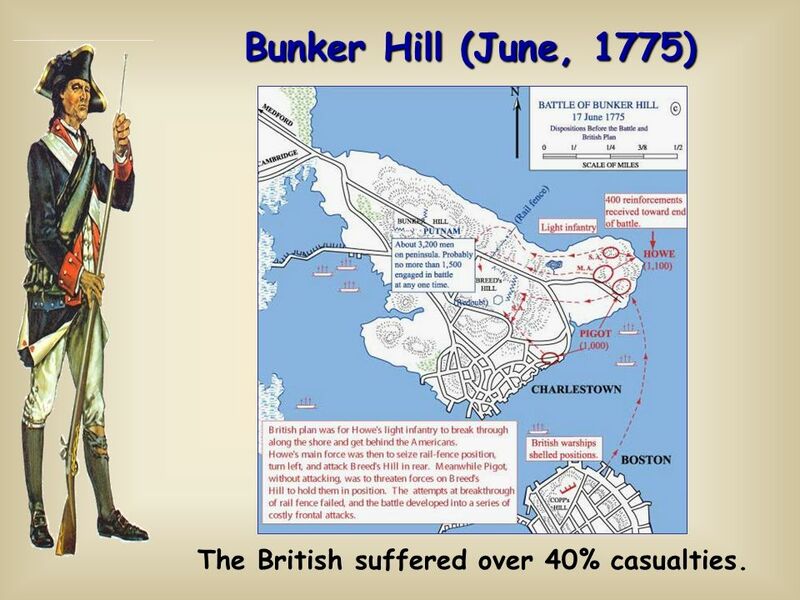 Bunker Hill (June, 1775) The British suffered over 40% casualties. 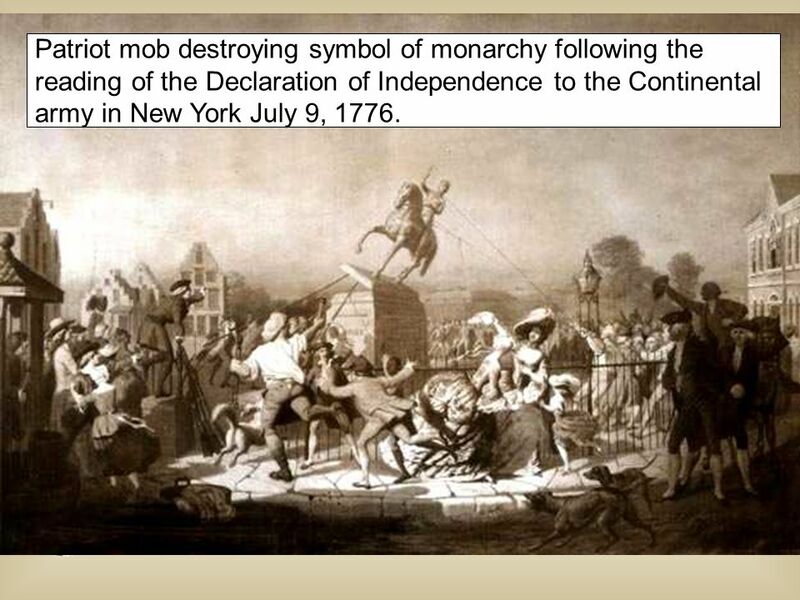 reading of the Declaration of Independence to the Continental army in New York July 9, 1776. 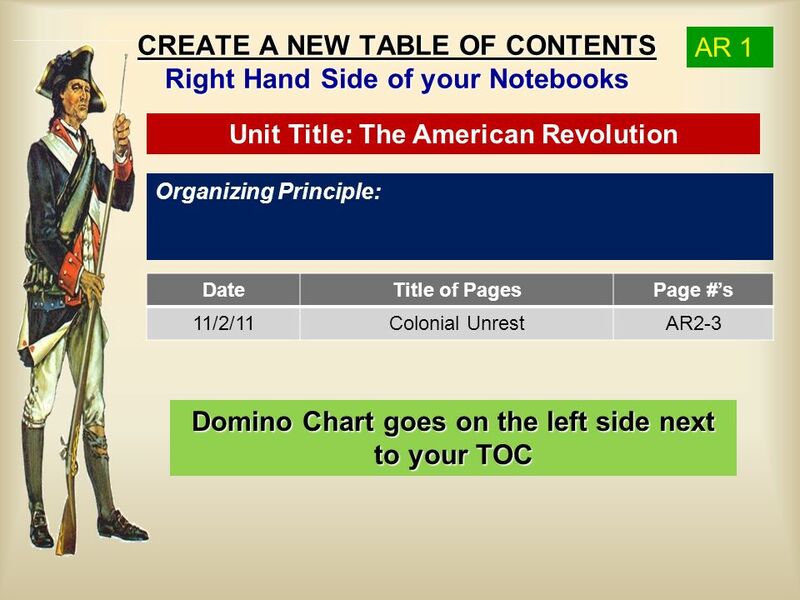 Download ppt "CREATE A NEW TABLE OF CONTENTS Right Hand Side of your Notebooks"
Causes of the Revolutionary War A. 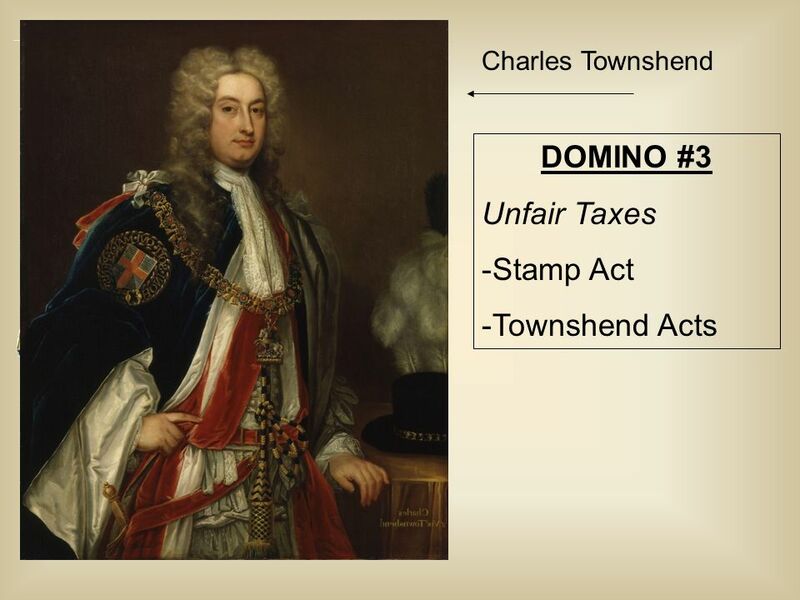 A tax placed on all legal documents, newspapers, almanacs, and playing cards B. 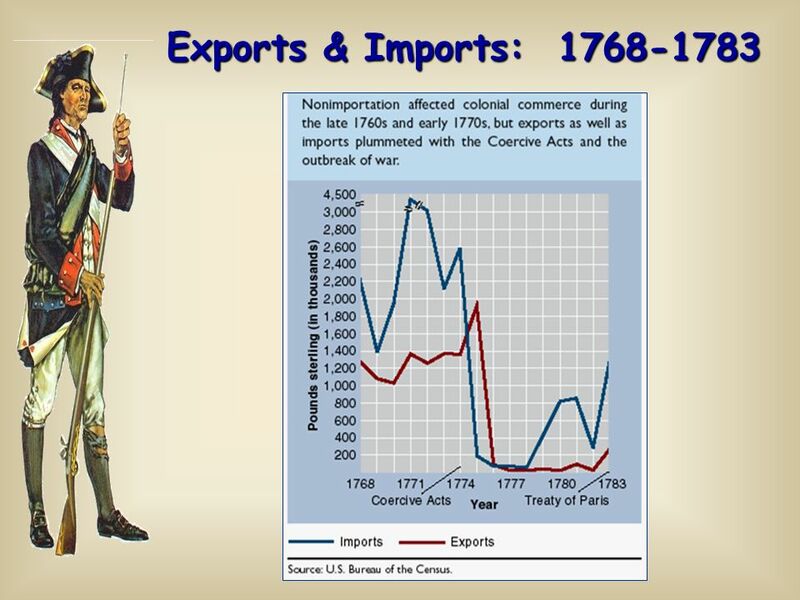 Laws used to control colonial trade. 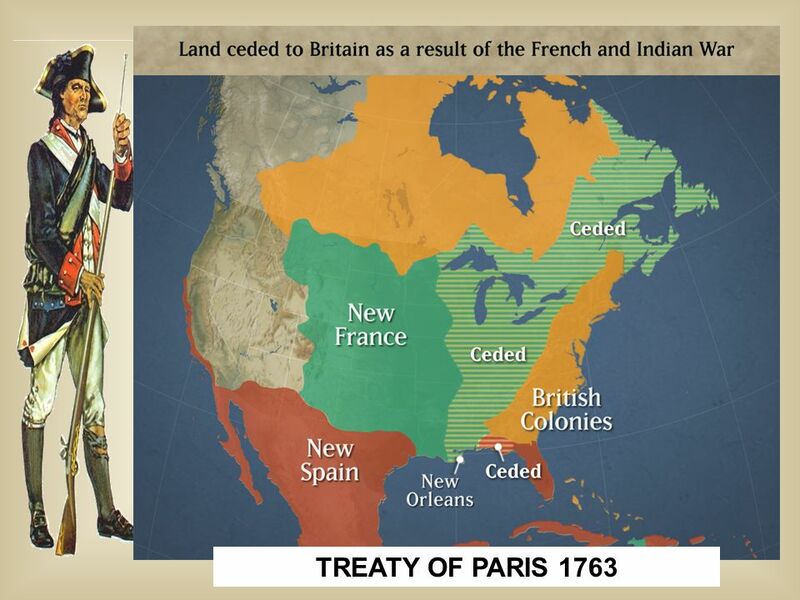 French and Indian War The French and their Native American allies fought against England Spain joined the war siding with the French England still won. The Road to Revolution. 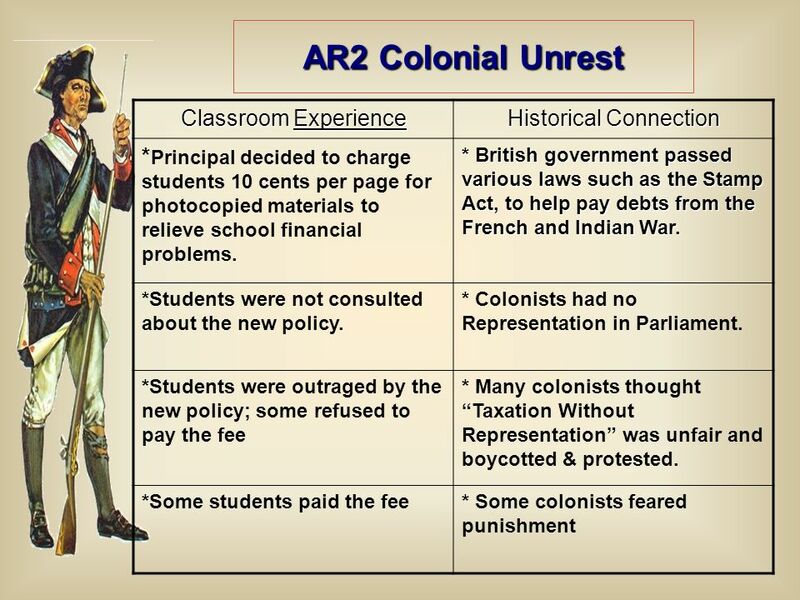 The English colonies, 1763 The French and Indian War is over, and Britain is in deep debt American colonies had been left alone. 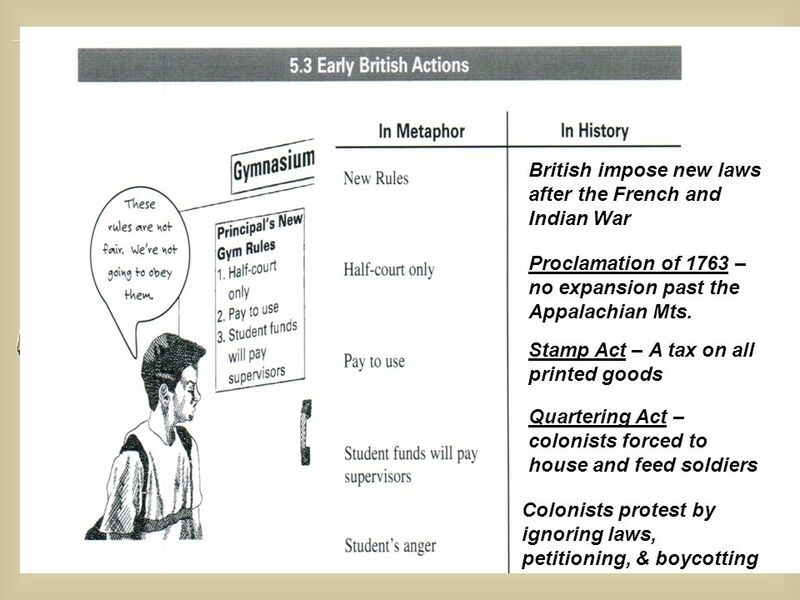 Causes of the American Revolution. 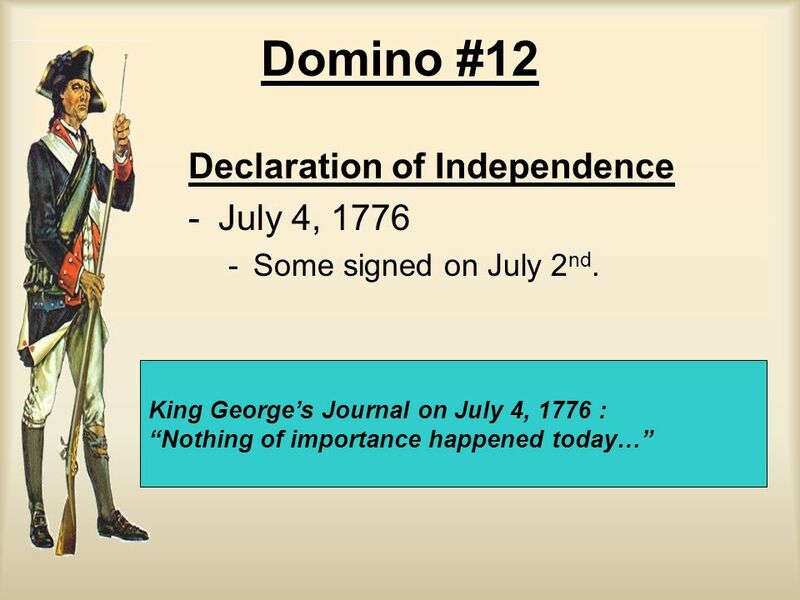 I Can: * Identify the Views of: ___Patriots ___ Loyalists ___ Neutralists ___ I can identify the Proclamation of 1763. Tighter British Control By: Jason O’Connor And Company. 2 pt 3 pt 4 pt 5pt 1 pt 2 pt 3 pt 4 pt 5 pt 1 pt 2pt 3 pt 4pt 5 pt 1pt 2pt 3 pt 4 pt 5 pt 1 pt 2 pt 3 pt 4pt 5 pt 1pt Daughters of Liberty Sons of Liberty. Sadie, Haley,Blake Who were the Red coats? They were British soldiers. 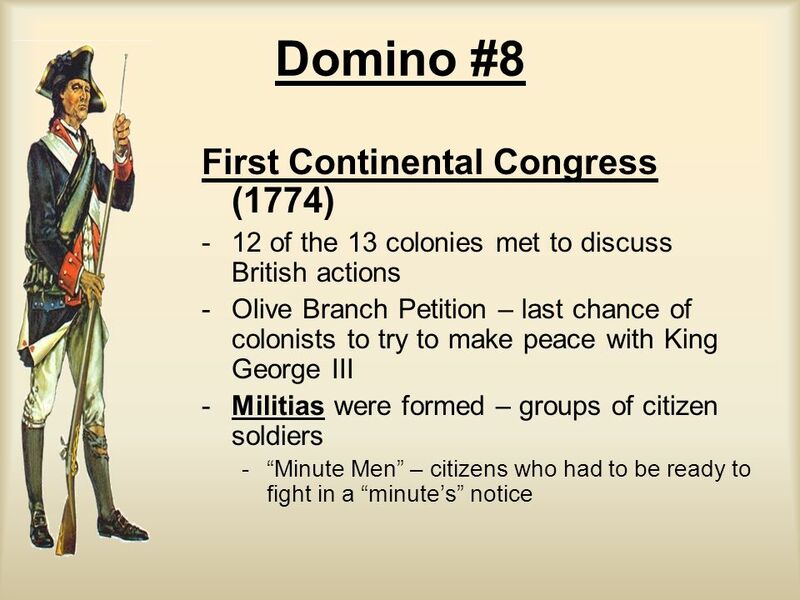 They would fight colonists to get more land. They were part of a lot of battles. 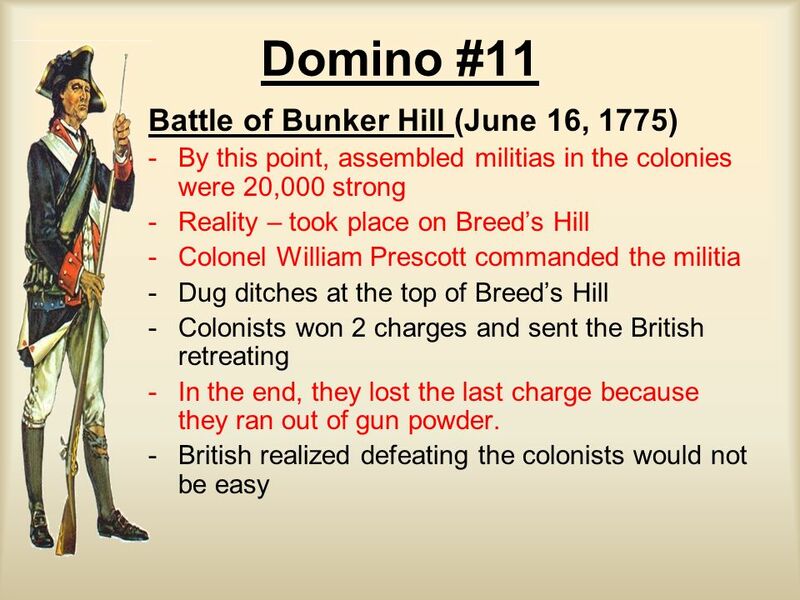 1.Before 1763 (Sect. 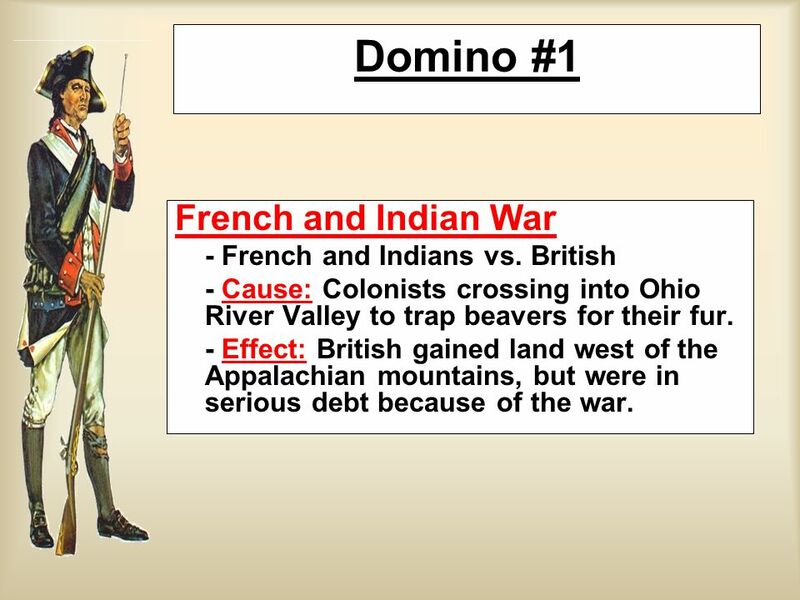 5.2) (exam) French and Indian War. 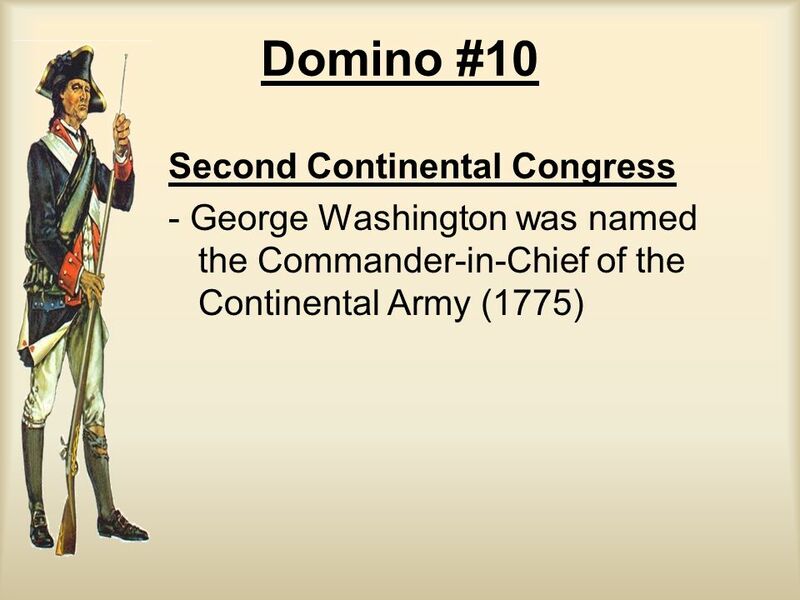 - Washington starts the war at Fort Duquesne. - Wars turning point is taking of Canada and then. 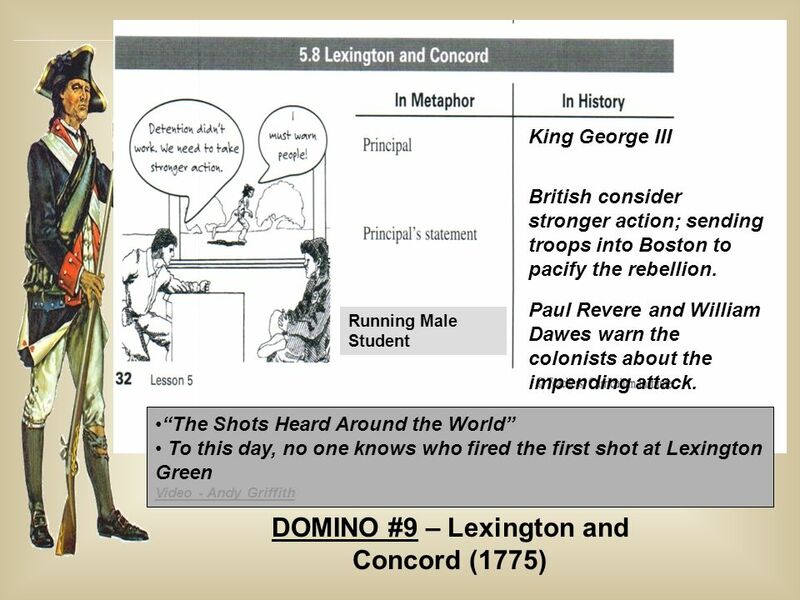 The Road to the Revolution Chapter 6 Mrs. Kercher. 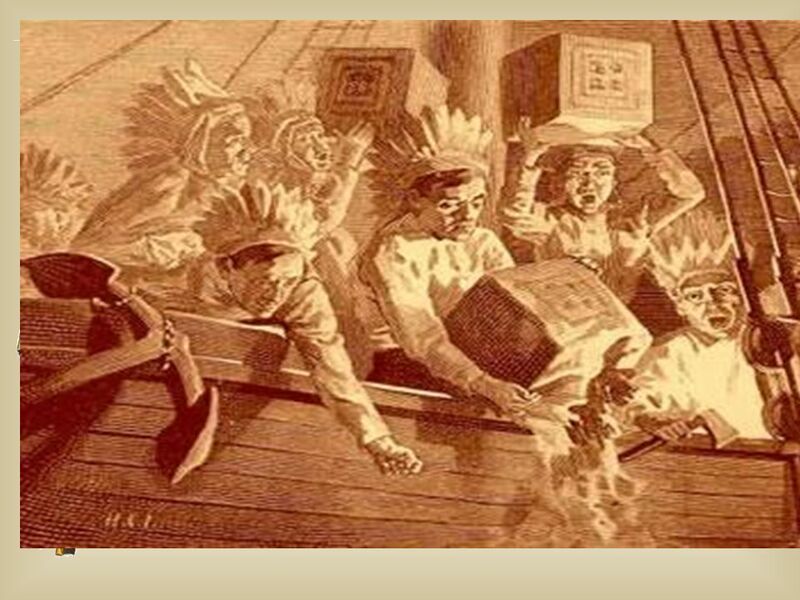 Sons and Daughters of Liberty The Sons of Liberty were a group of patriots who formed a rebellion against England. 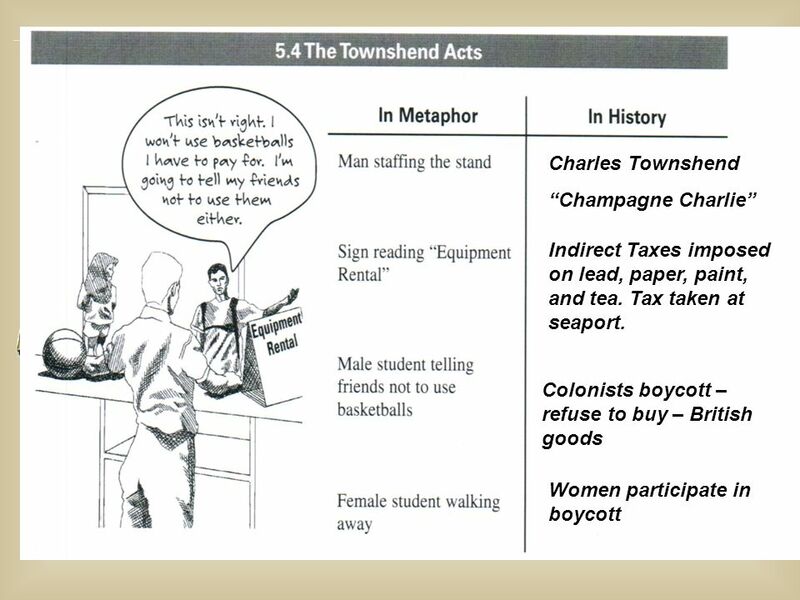 They told colonists to boycott taxed. The American Revolution Ms. Silgals’ 5 th Grade Social Studies Class.